We recently established a school and organization fundraising program that provides quality fundraising opportunities, while eliminating the typical candies, cookie dough, pizza kits, etc. that so many are tired of. 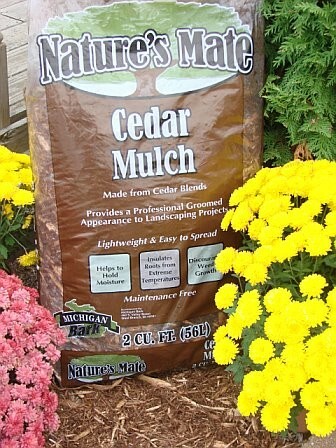 Our Nature’s Mate bagged mulch product line provides buyers a useful, quality product that is typically used seasonally at most homes anyway. Together, we can fill this need and earn money for one’s school as well! With a school of 400, sales averaging 20 bags of mulch per student could generate as much as $10,000 in profit! Don't believe it? Call us and we will give you names and numbers!... It really works. We have 2 options for our bagged mulch fundraising and welcome you to call for more information on this program's success! PLEASE CALL OUR SALES OFFICE OR CONTACT US THROUGH THE FOLLOWING LINK FOR MORE INFORMATION ON OUR FUNDRAISING PROGRAM.